The land of "Lo". Remote and forbidden to travellers for centuries has now been open to trekkers for some time. Your journey begins with a late afternoon flight to Pokhara followed, the next morning, by a flight to Jomosom. 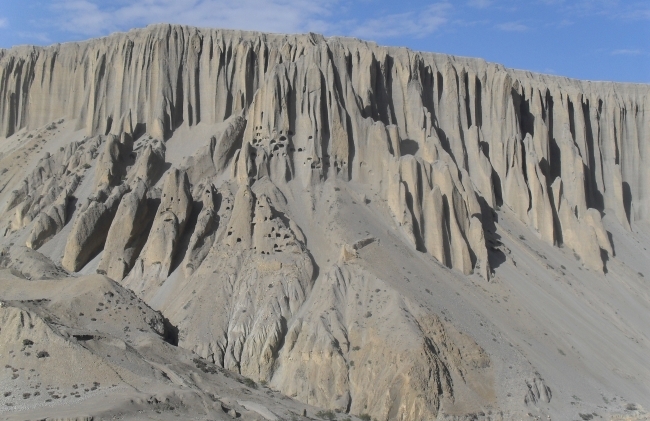 From here the trail leads along the left bank of the Kali Gandaki river through the villages of Kagbeni, Chusang, Samochin and Charang to the walled capital of Mustang - Lomanthan. The return is mostly via the same route, except for the detour to Muktinath which is important pilgrimage site for both the Hindus and the Buddhists. This trip gives you the opportunity to go where few hadbeen before. Most of the trek keeps to arid, high deserts inhabited mostly by people of Tibetan stock. The menfolk are either traders or farmers while the women mostly tend the fields. Along with insights into the everyday lives of the people of "Lo" you will have the opportunity to witness their vibrant culture and also a chance to get a look at Lamaist Buddhism little changed by time. The road to Jomosom from Beni is now being extended to Lomanthan and you may be passed by the occasional motorcycle, tractor or four wheel drive ferrying people, goods and travelers to or from Lomanthang along the trail which is only passable by vehicles at certain times of the year. Day 01 Arrive Kathmandu. Depending on the arrival time of your flight sightseeing of Kathmandu. Day 02 Final preparations for your trek or if you feel that you are adequately prepared sightseeing of Patan Durbar Square, Swoyambhunath and Bodhnath. Day 03 Fly to Pokhara. At leisure. Day 04 Fly to Jomsom meet your crew and trek to Kagbeni (2870 m). Day 05 Trek to Chailey (3100 m.) via Chusang. Day 06 Trek via the Soya La (La = pass), to Samochin (3800 m.). Day 07 Trek to Tsarang (3499 m.). Day 08 Rest day at Tsarang. 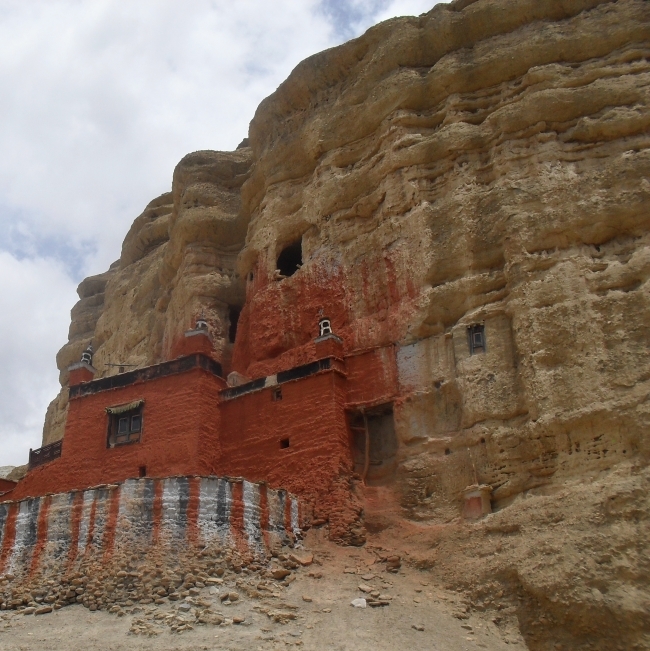 Day 09 Trek to Lomanthan (3820m), the ancient walled capital of Mustang. Day 10 Explore the area around Lomanthang on horse-back returning to the walled city. Day 11 Trek to Ghimi . Day 12 Trek to Chele (3030 m.). Day 13 Trek to Chusang (2920 m.). Day 15 Trek to Jomsom (2800 m.). Day 16 Rest day in Jomsom. Day 18 At an appointed time transfer to the airport for your departure from Nepal.